Chicken tikkas are one of the popular starters on the restaurant's menu. 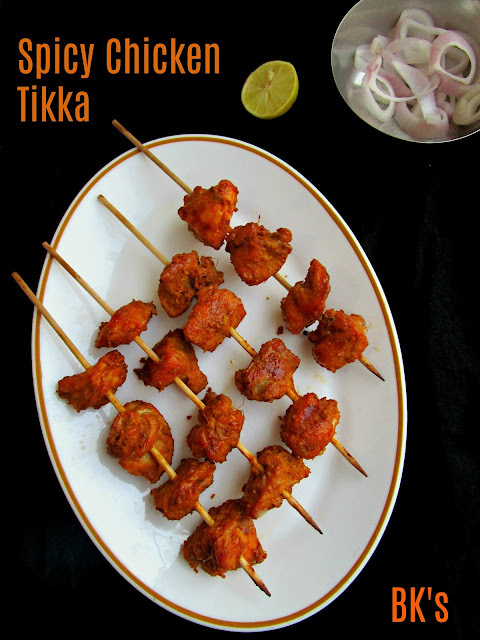 The word tikka means pieces or chunks of meat, which in this case its chicken, so it's called chicken tikka. 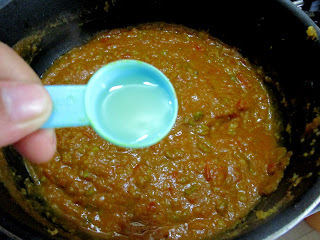 This recipe is spicy, so if you can't handle the spiciness, reduce the spice measures to half in this recipe. Read full post to know how to smoke your tikkas without using smoking gun. Those who don't want to use oven or experiencing regular power cuts, can cook the tikkas on stove top using a skillet/tawa on high flame. 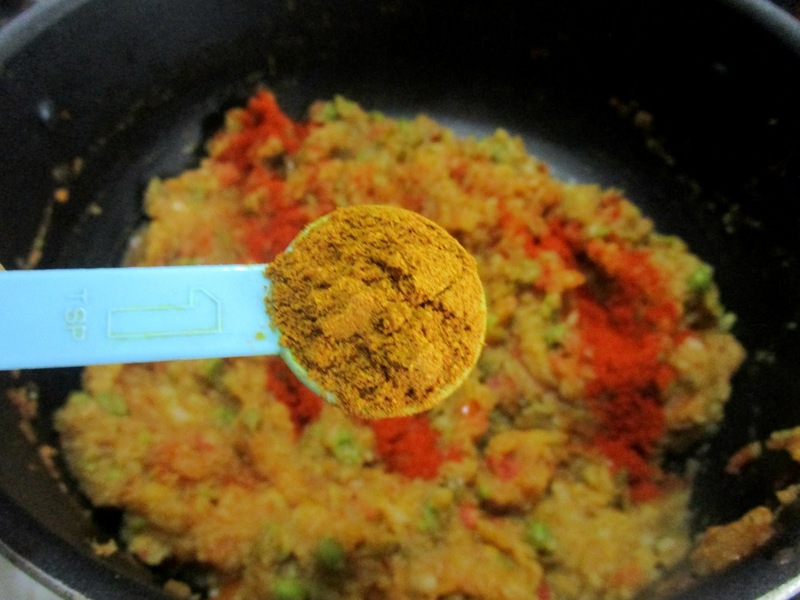 You could also use tandoori chicken's recipe spices for the tikkas here. 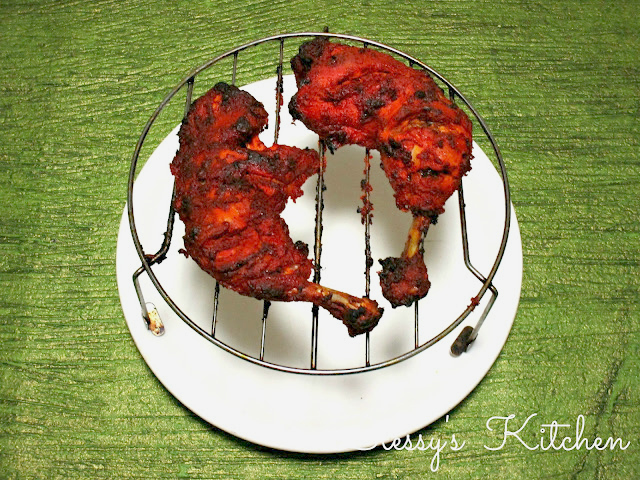 Also check out tandoori chicken's recipe. 1. Mix all the ingredients to the cleaned and patted dry chicken chunks, except butter. 2. Rest the chicken pieces for 1 hour. You can leave them in the refrigerator for whole night too. 3. Skewer the chicken chunks. (Soak the wooden skewers in water prior to this step, for about 10 minutes). 4. Bake in the pre heated oven 200 degrees C for 10 minutes. Turn to broil mode and further cook it for 5 minutes. All ovens don't work same, so keep an eye on your chicken tikkas. 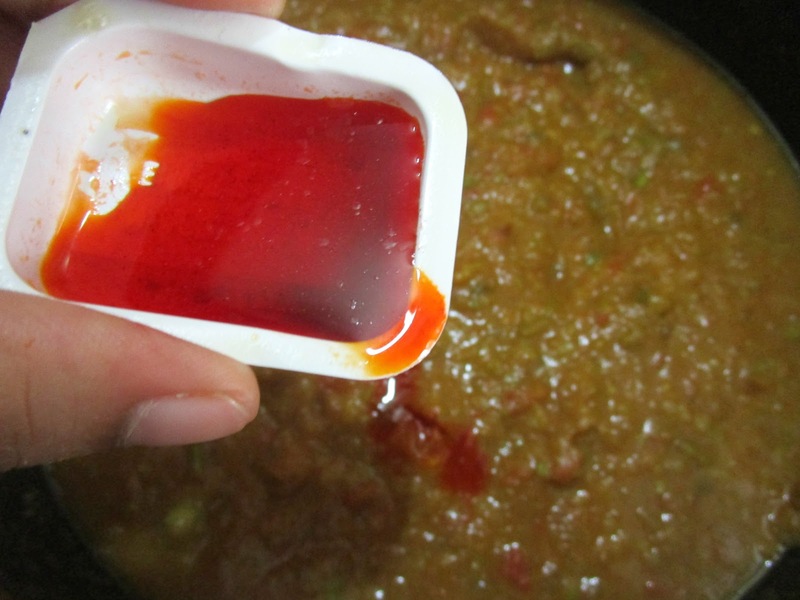 You might baste the chicken tikkas in between with its own juices. 6. 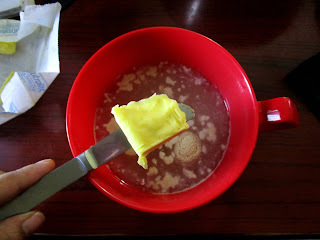 Finally, brush the tikkas with butter. garam masala powder, ginger- garlic paste, salt, curd and mix well. 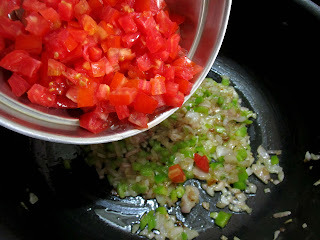 Add oil and marinate for 1 hour. Skewer the chicken chunks. (Soak the wooden skewers in water prior to this step, for about 10 minutes). Bake in the pre heated oven 200 degrees C for 10 minutes. Turn to broil mode and further cook it for 5 minutes. All ovens don't work same, so keep an eye on your chicken tikkas. You might baste the chicken tikkas in between with its own juices. Finally, brush the tikkas with butter. Serve hot. 1. 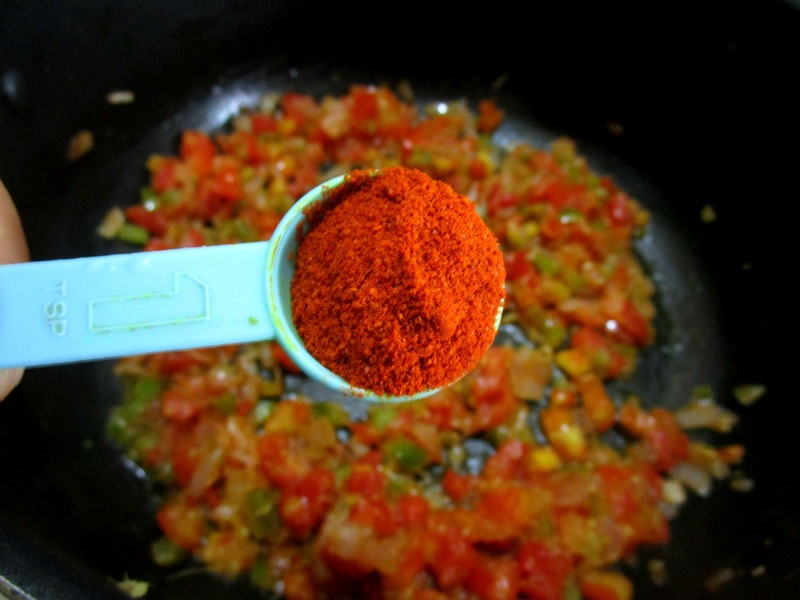 Add half of the quantity of spices if you don't want your tikkas to be spicy. 2. You can smoke your tikkas. Simply place a piece of coal on the stove top, once its heated, place the coal in a container, add few drops of oil on it. The coal will start to smoke. Now, place this near to the chicken tikkas and cover it completely for smoke not to escape for 10 minutes. 3. You can sprinkle chaat masala before serving if reduced the spice measures. 4. 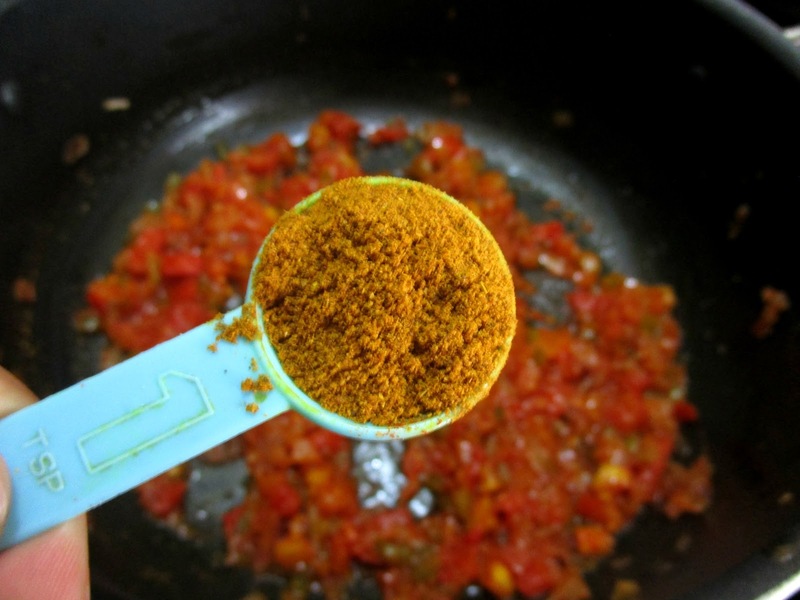 You could also add a teaspoon of lemon juice to the chicken marination. Mumbai's iconic street food, Pav Bhaji! 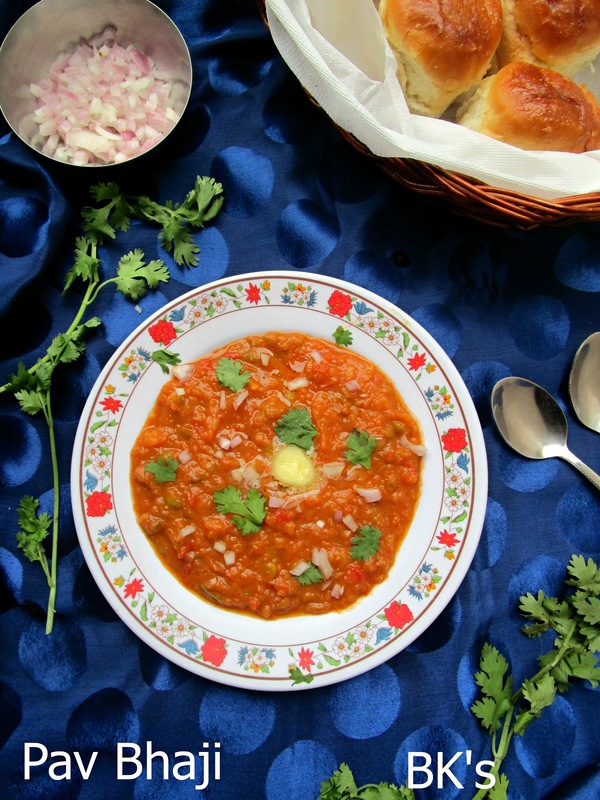 Pav bhaji literally means bread with vegetable curry. 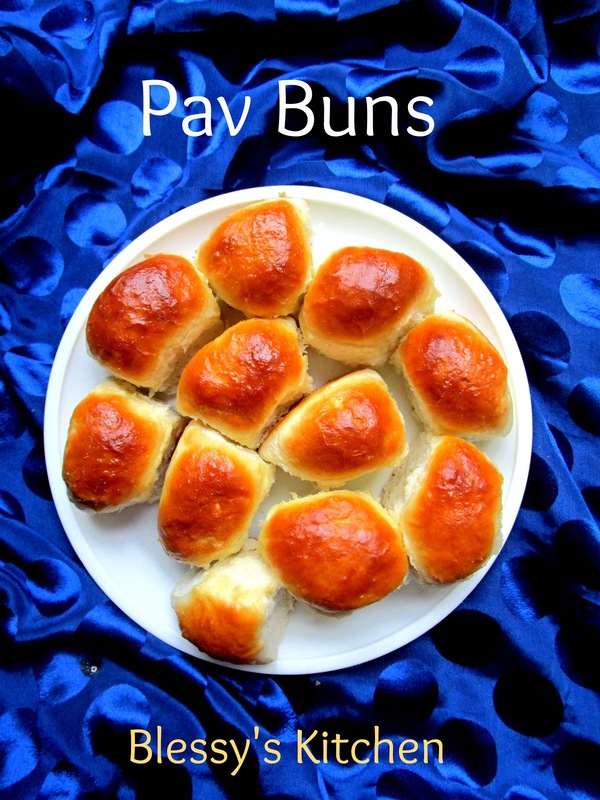 Pav = bread and Bhaji = vegetable curry. Every Mumbaikar relishes this almost every other day! 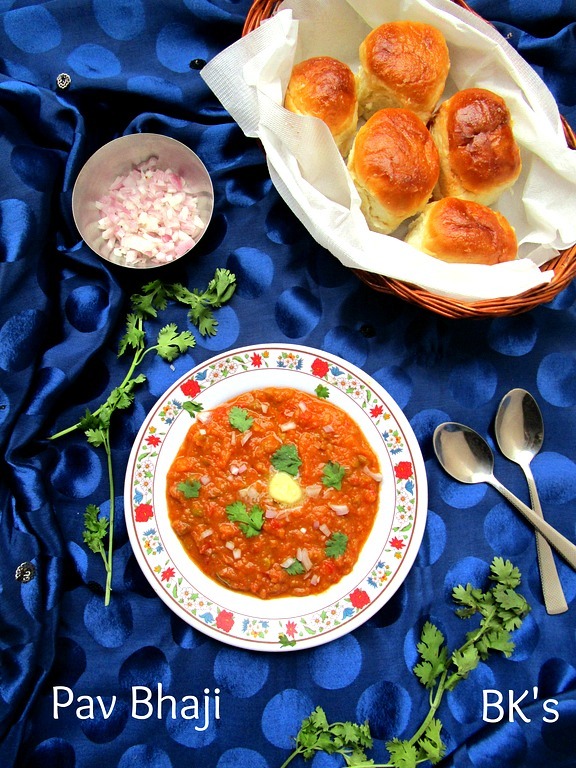 Pav Bhaji was born when textile mills were flourished in Mumbai. The workers there in the mills had less time to consume their food (we Indians have a wide spread most of the time). So, the workers couldn't eat their entire lunch because that would make them go drowsy and getting back to physical work troubled them. So a trader realized this problem and came up with his own solution. He replaced the roti( Indian flat bread) with Pav and curry with a spicy veggie mix which is called as Bhaji and hence this dish came in focus and it flourished whole Mumbai and has won many hearts and got ranked as their favorites. 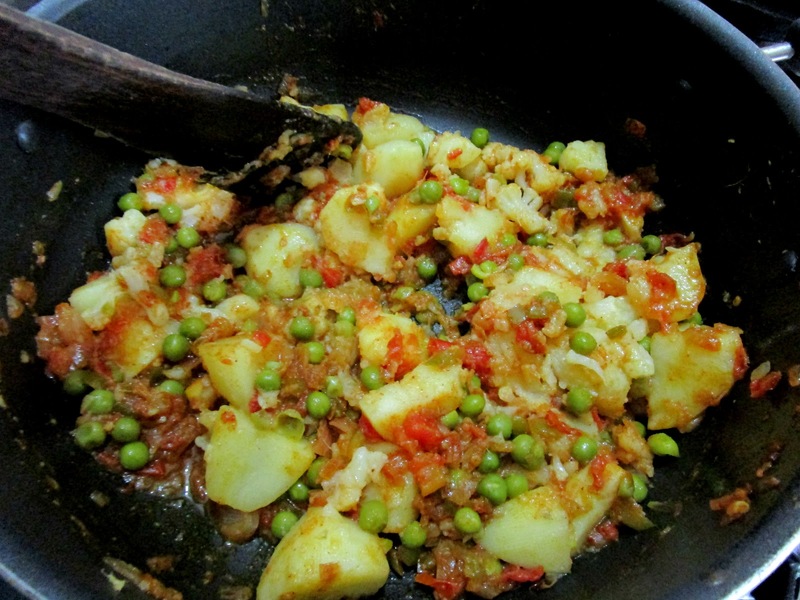 It is served along with a knob of butter, onions and lemon.Try this at your home and enjoy with your pals. It's utterly butterly delicious! 1. To prepare the bhaji, pre cook the veggies (potatoes, cauliflower, carrot, green peas and keep it aside. 2. To a kadai, add 2 tablespoons of butter and a tablespoon of oil, let it heat up and add finely chopped onions, cook until translucent. 3. 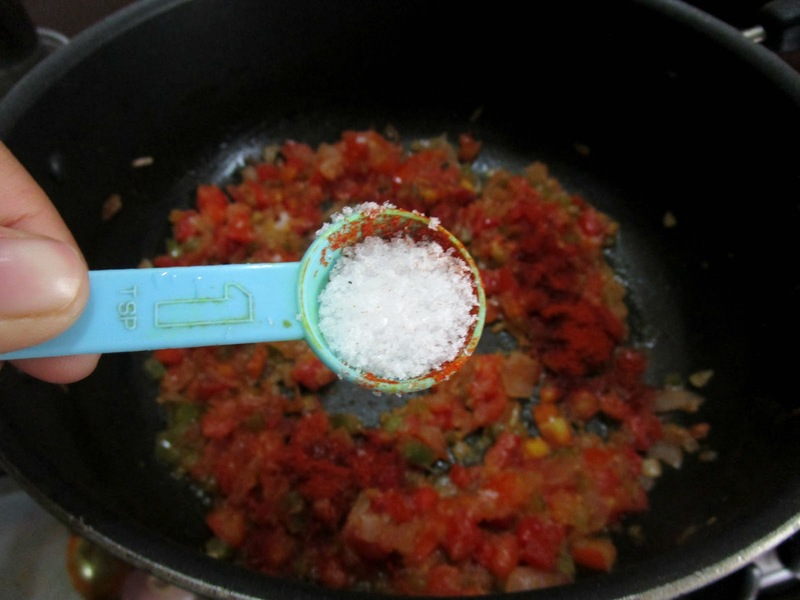 To this add, finely chopped capsicum and cook for 1 minute. 4. 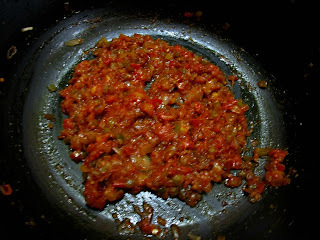 Add finely chopped tomatoes and cook until done. 5. 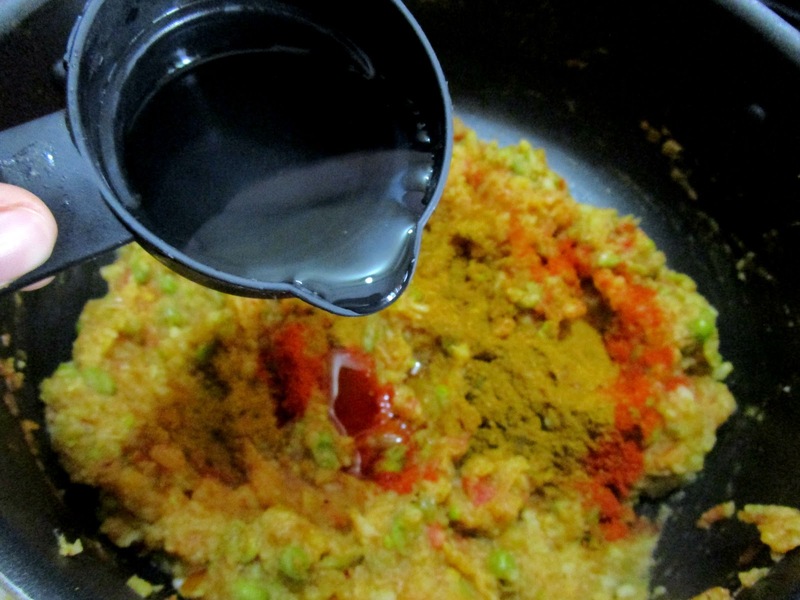 Now, add ginger garlic paste, a teaspoon of red chilli powder, a teaspoon of pav bhaji masala, salt and saute well. 6. 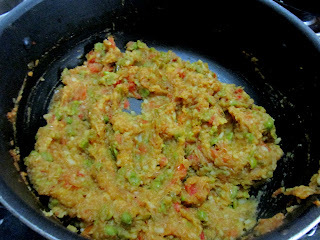 Once the tomatoes are cooked well with the spices, add the pre cooked veggies and start mashing with a potato masher. 7. 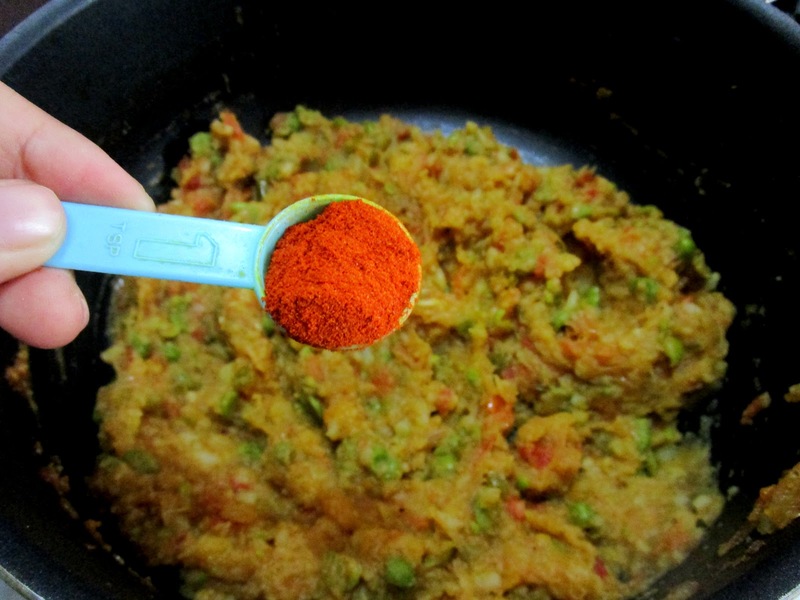 Add left over each 1 teaspoon of red chilli powder and pav bhaji masala for the veggies. Add water according to the bhaji consistency. 8. Add red food color, lemon juice and finish it off with 2 tablespoons of butter. 9. Garnish with fresh coriander, serve with pav, chopped onions, butter and a drizzle of lemon juice. 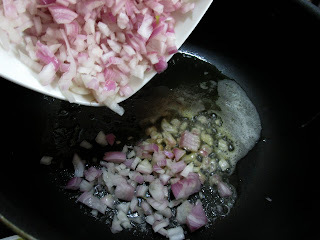 add finely chopped onions, cook until translucent. To this add, finely chopped capsicum and cook for 1 minute. Add finely chopped tomatoes and cook until done. 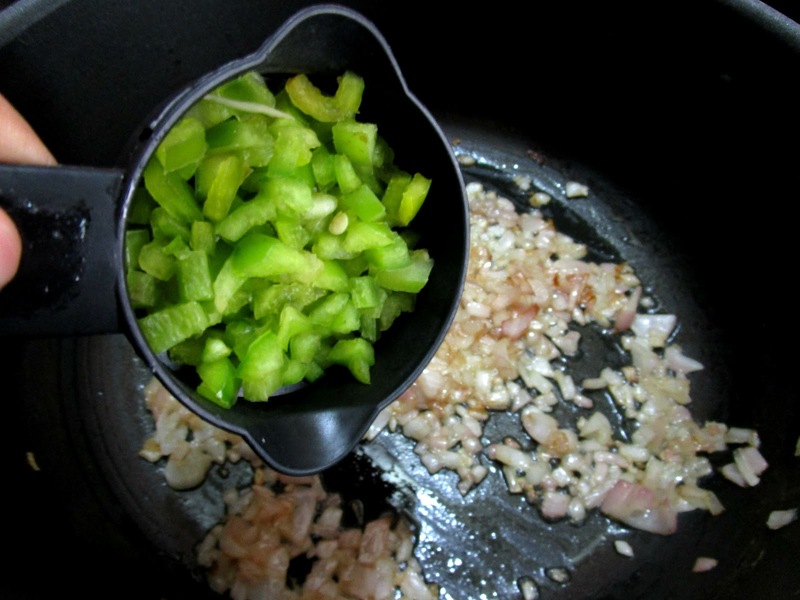 start mashing with a potato masher. 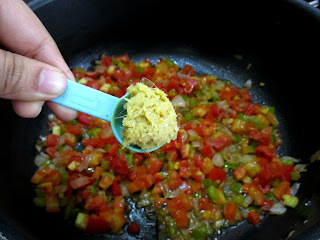 lemon juice, mix well and finish it off with 2 tablespoons of butter, garnish with fresh coriander, serve with pav, chopped onions, butter and a drizzle of lemon juice. Happiness is freshly baked, warm bread from the oven and lathered with butter :) . 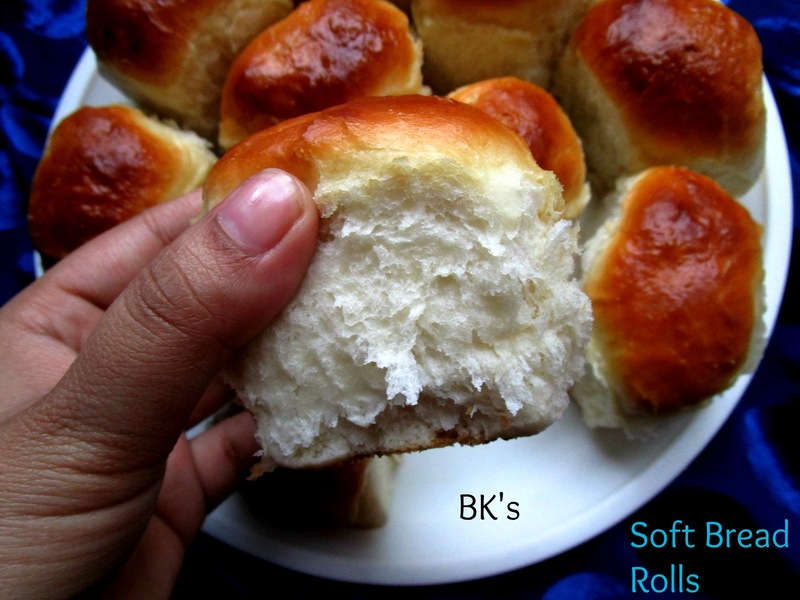 There truly is an indescribable satisfaction from making soft bread rolls using your very own hands!! I love breads!! 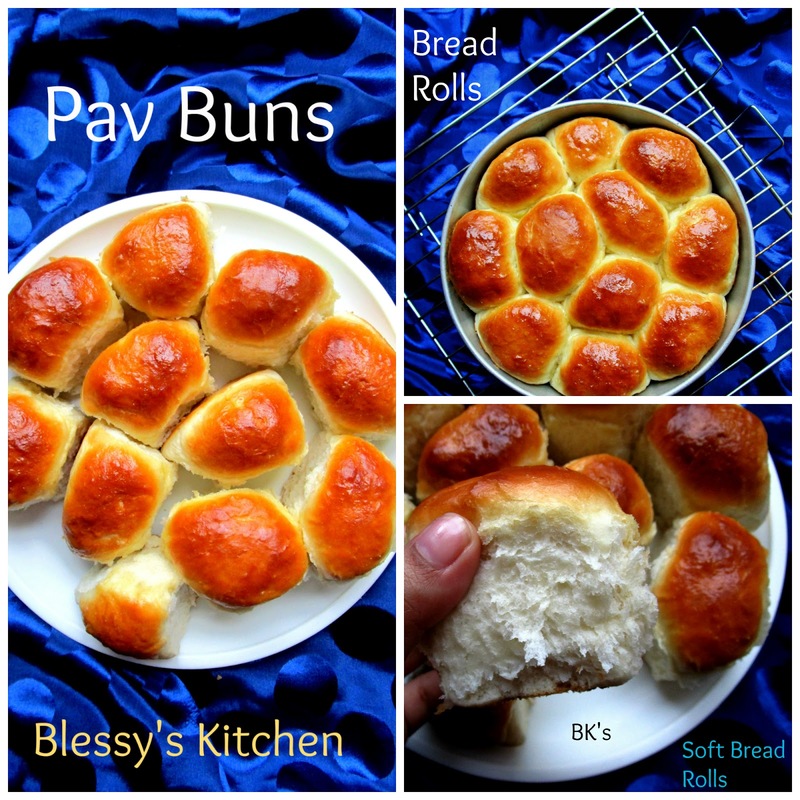 Breads are easy to have when you're in a hurry, they are easy to pack, they blend well with Indian sides too and can make a good meal! For me, the shawarma stuffing in the bread rolls are fascinating and they are delicious. Pav bhaji, pizzas, garlic bread and chicken sliders are few of my other favorites. Making bread is easy, it's not fiddly, only few ingredients and patience are needed. So let's get to work..
1. 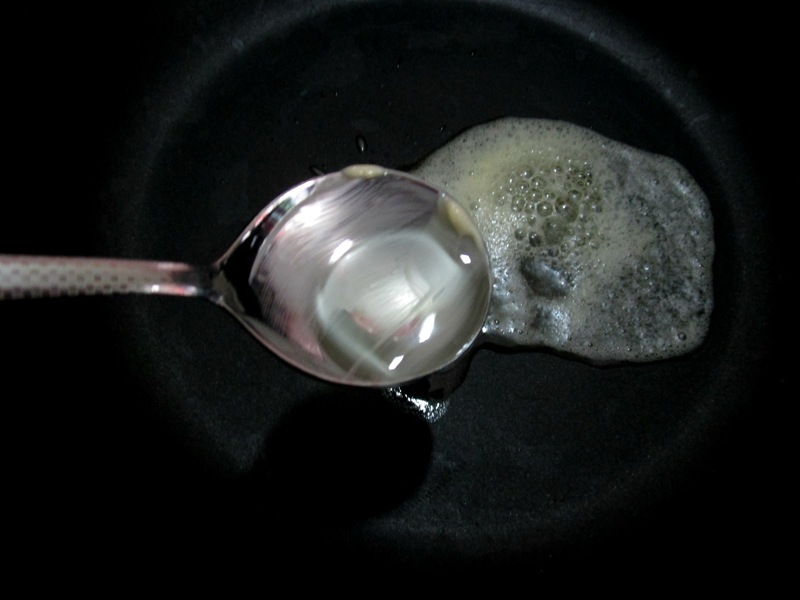 Add instant active dry yeast to the lukewarm water. 2. Add sugar and butter, mix well and let it rest aside for about 10 minutes for the yeast to proof. 3. 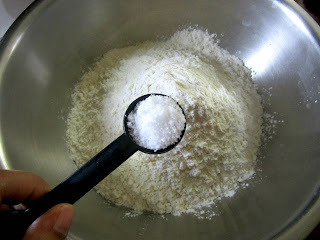 Now, add the salt to the flour, mix well and keep it aside. 4. 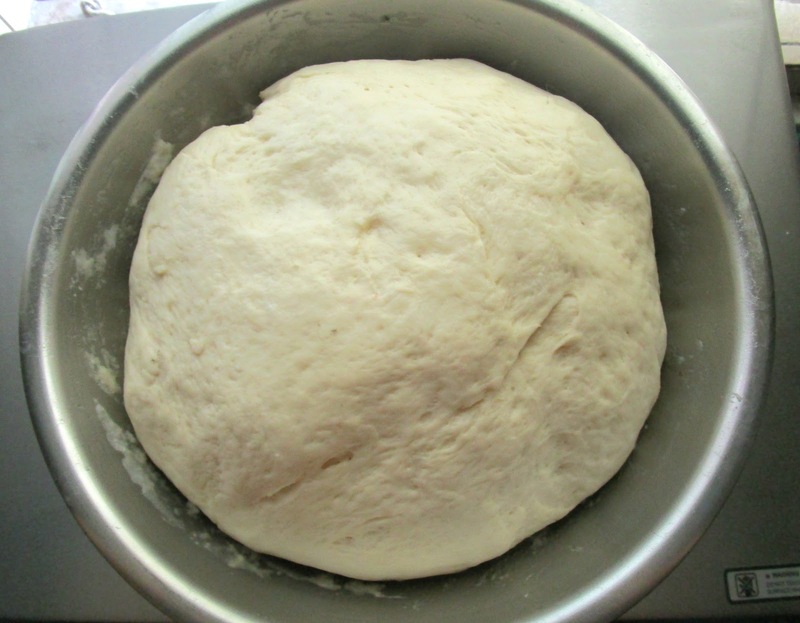 Once the yeast it proofed, add the yeast mixture to the flour and form a dough. 6. Place the dough in a greased bowl and layer the dough with a splash of oil and cover with a damp cloth. 7. 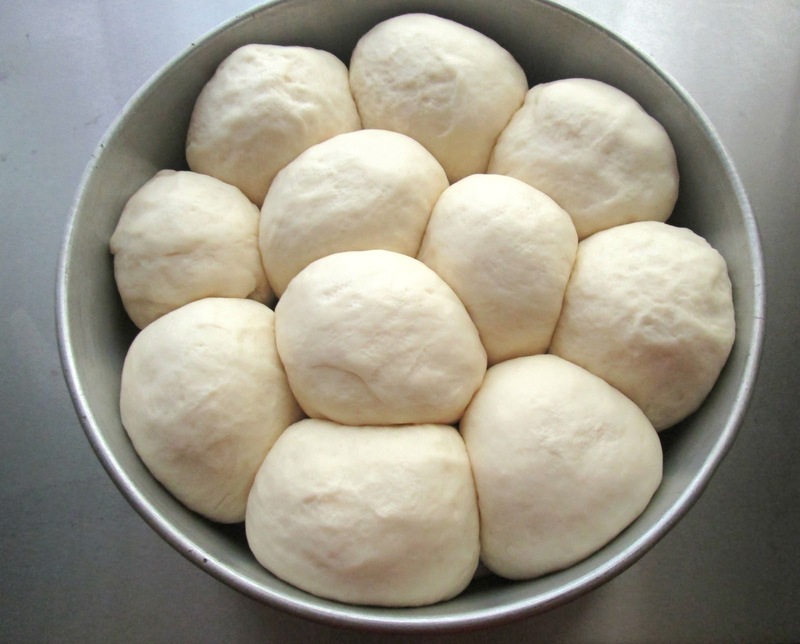 Let the dough rest until it gets doubled. 8. 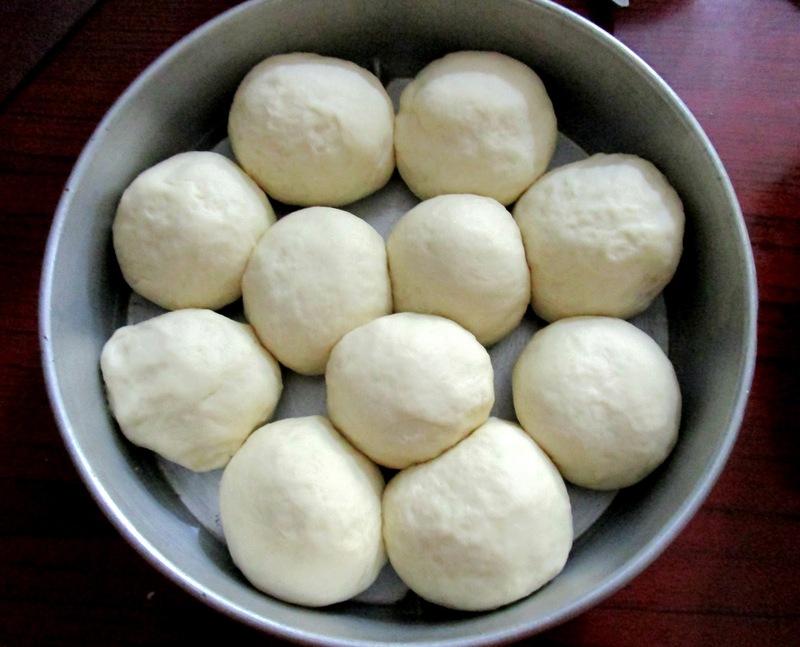 Once it's doubled, punch down the dough, make equal portions of dough and start rolling the bread dough into balls and place them in a lightly greased baking tin. 9. Cover the bread rolls with damp cloth and rest it until they double in size for the second time. 10. Once they are doubled, brush them gently with the milk and place them in the pre-heated oven 200 degrees C for 12 minutes. 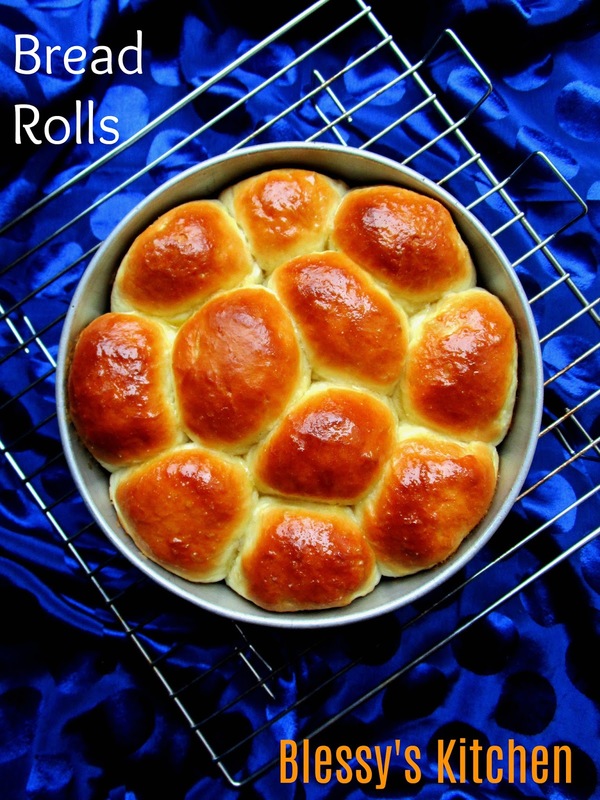 (each oven works differently, so keep an eye on your bread rolls ). Once they are done, tap on the bread with a spoon and they should sound hollow. 11. 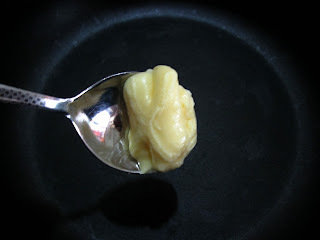 Brush them with butter generously and serve them warm. Add instant active dry yeast to the lukewarm water. 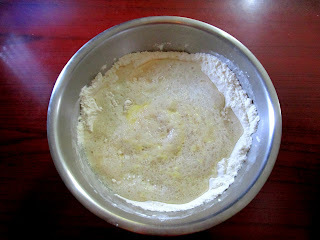 Add butter, mix well and let it rest aside for about 10 minutes for the yeast to proof. 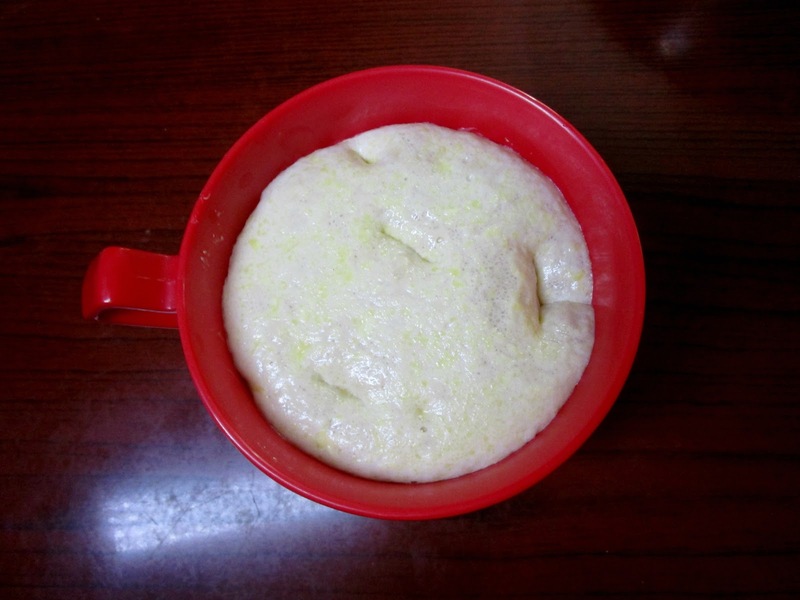 Once the yeast it proved, add the yeast mixture to the flour and form a dough. 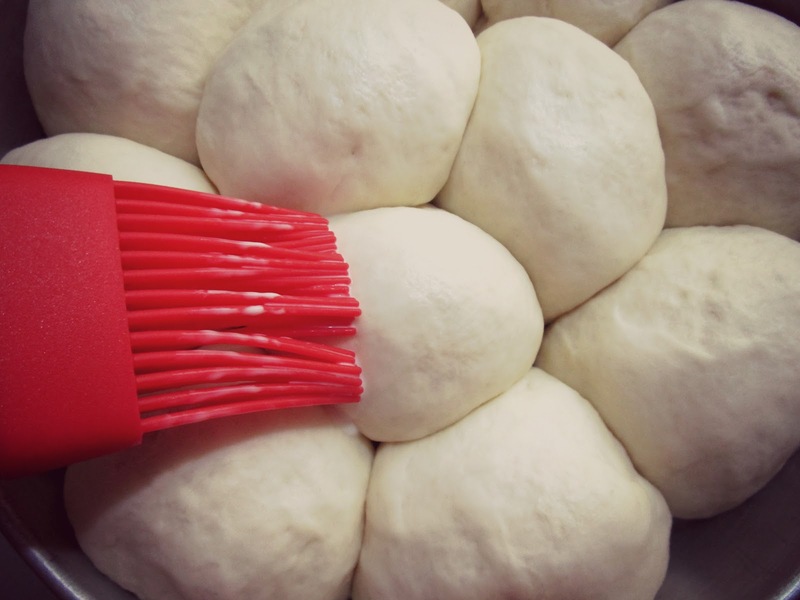 Now, knead this dough for 10 minutes. Cover with a damp cloth and let the dough rest until it gets doubled. Make equal portions of dough and start rolling the bread dough into balls and place them in a lightly greased baking tin. Cover the bread rolls with damp cloth and rest it until they double in size for the second time. Once they are doubled, brush them gently with the milk and place them in the pre-heated oven 200 degrees C for 12 minutes. Brush them with butter generously and serve them warm. 1. Use luke warm water for your yeast. 2. Knead the dough properly, how much pressure to use or when to stop kneading simply takes practice. If dough seems to be sticky, it's okay to lightly dust it with flour but don't get tempted to add more. In many cases, sticky dough is a happy dough! The more you knead, the more the less sticky your dough becomes. 3. 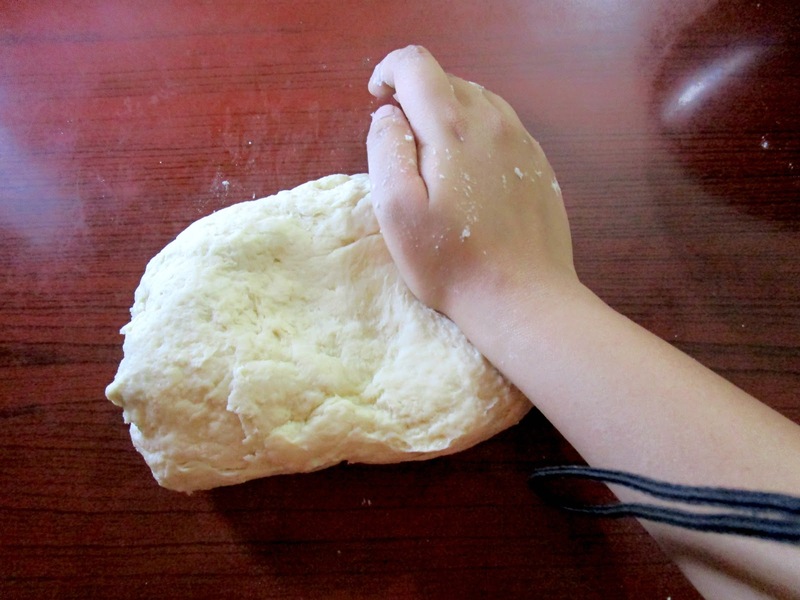 You can also follow windowpane test method to know whether the kneading is enough or needed further. Cut of a small piece of dough, rest it for 5 minutes for the gluten to relax, flour your fingers and gently stretch the small piece of dough . If it tears easily, then gluten network has not been developed well enough. So continue to knead the dough. After few minutes, test the dough again. 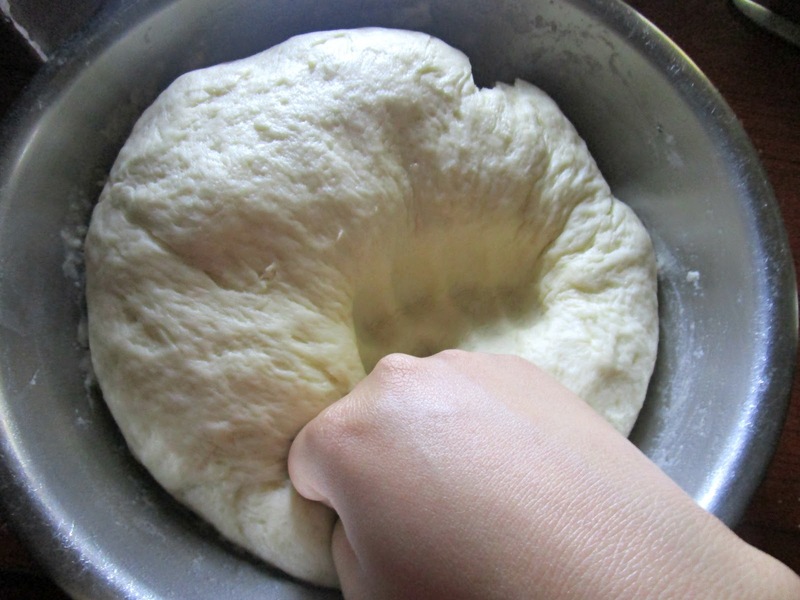 Cut of a small piece of dough, rest it for 5 minutes, stretch it gently.Once the dough forms like a window, where you can see the network of gluten and it's almost like a see through it like a window, then you are done with kneading.